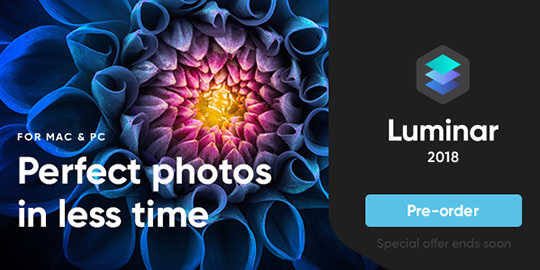 The new Skylum Luminar 2018 for Mac & PC is now available for pre-order. The new version includes new filters powered by artificial intelligence, speed improvements, a dedicated RAW develop module, new intelligent Sun Rays filter, LUT support, and real-time noise removal and a forthcoming in 2018: a digital asset management platform. The new Luminar 2018 has also been re-built for faster performance. Existing filters were also improved to deliver richer colors and depth in less time. A new streamlined user interface speeds up working with presets, filters, and masks. Luminar 2018 also has support of pro options like layers, masks, and blending modes, complex repairs and photo composites. 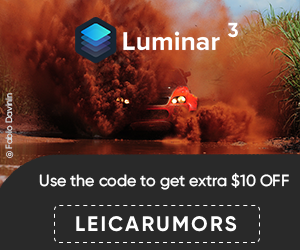 Luminar 2018 is now available for pre-order and will be released on November 16. Additional information is available at PhotoRumors.com.